A new video series on Biblical Aramaic (that is, the Imperial or “Official” Aramaic dialect(s) found in the books of Daniel and Ezra). Selected from Basics of Biblical Aramaic Video Lectures, this video presents all material from Chapter 2: Vowels with Miles V. Van Pelt. 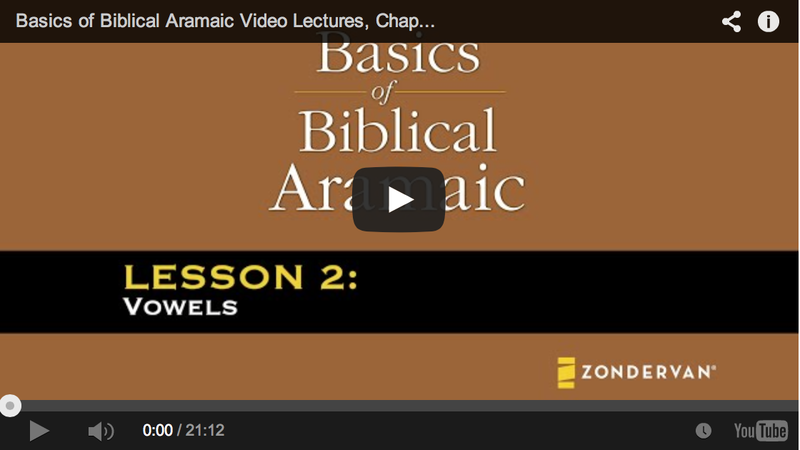 Basics of Biblical Aramaic Video Lectures provides 22 easy-to-follow lessons (on 3 DVDs) on the most neglected biblical language. Integrated for use with one of today’s bestselling Aramaic textbooks, it is an ideal resource for Aramaic language students wanting additional help in their learning; for instructors wanting to devote classroom time to drills and exercises, giving them a lecture tool their students can watch on their own time; and for self-learners with an interest in learning biblical Aramaic on their own. Designed for students who already have a working knowledge of biblical Hebrew, each lecture is approximately half an hour and is taught by experienced teacher Miles V. Van Pelt using a logical and simple method of learning biblical Aramaic. 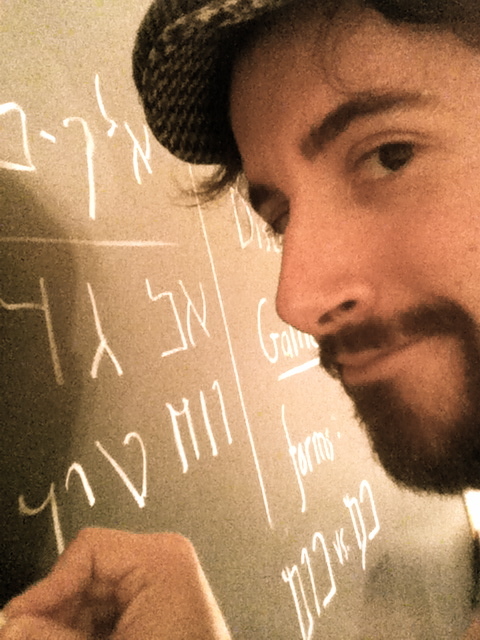 Focused on the structural pattern of biblical Aramaic and its relationship to biblical Hebrew, Van Pelt’s lectures will give students in formal language classes and self-learners alike the basic understanding they need to begin studying the 269 Aramaic verses in the Old Testament. Very well done. Van Pelt’s pronunciation made me cringe a little here and there, but in truth that doesn’t really matter with Biblical Aramaic. All of the important pieces were where they should be (which is what does matter). Tom Verenna with his limitless and bountiful zeal has taken the time to painstakingly compile a video that outlines the current evidences against the authenticity of the Jordan Lead Codices. Also of note, this video was censored at least a half a dozen times from the Jordan Codices Facebook page, and for screenshots of that (as well as other censored comments made by an archaeologist) take a peek at Dan McClellan’s latest post. In a bit, I’ll have another post that actually goes over some clarifications that have been made to one of the metallurgical reports by the researcher who compiled it.